Soda Box Music LLC is the brainchild of songwriter, international entrepreneur and Philadelphia native Carolyn Baron, a 30-year management veteran of the Retail, Music, and Human Mindfulness and Health & Wellness industries. Like many of today's top managers, Carolyn comes from an eclectic background. With a degree in Anthropology and Film Arts from Bard, she was one of the early pioneers of international collaboration through the internet, and rose to become a leader in developing arts & health based business ventures, carving out niches in the USA, Italy, Canada, and the UK. Marrying the two disciplines resonated loudly with many, generating the modern "hipster" multi-billion dollar Health & Wellness sector we see today. 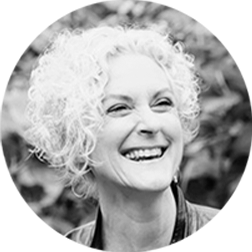 During the 90's and 2000's, Carolyn would often be captured next to contessas, film stars, athletes, and some of the world's most renown industrialists, sharing her principles for positivity through self-expression and self-healing. This notoriety led to important collaborations within the music industry, as she was invited to write music for synchronization and record label initiatives, resulting in multiple placements in feature films, television programs, and industrials, and even hosted her own NBTMusic Radio blog series on "The Art Of Collaboration". "When I was growing up, music brought me the most joy… and basically saved my life". A fierce defender of artist rights, the company's motto, We're Listening, is a reflection of Carolyn's own evolution in connecting with art and with like-minded creative and business people. A 3-time Grammy Awarded & 11-time #1 Billboard Music Producer & Multi-Instrumentalist best known for his work on Alicia Keys "No One" and his on-camera role on NBC TV's "Lipstick Jungle" alongside Brooke Shields, Ron has been featured on more than 450 recordings, his musical collaborations having been heard upwards of 30 billion times and garnering 6 billion views. 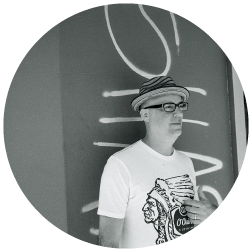 He has worked with multi-platinum selling and chart-topping artists Rob Thomas, Sophie B. Hawkins, David Guetta, Slash, Taj Mahal, Willie Neslon, Debra (Debbie) Gibson, Moby, Lana Del Rey, Gwen Stefani, Dweezil Zappa, Simaku, Ashlee Simpson, Sarah McLachlan, Al DiMeola, Judie Tzuke, Yoko Ono, and many many others. Ron's catalogue has itself benefitted from more than 100 music placements on The Cartoon Network, Coca-Cola, McDonald's, ESPN, MTV, Bravo, and with The Nashville Predators (NHL Hockey), on primetime TV programs The OC (Fox), One Tree Hill (WB), Lipstick Jungle (NBC), Laguna Beach (MTV), Sweet Sixteen (MTV), Auckland Daze (TVNZ), and Canada AM; and on major motion pictures featuring Jane Fonda, Jennifer Lopez, Danny Aiello, Angie Harmon, Joy Lenz, Brooke Shields, Andrew McCarty, and Tom Braidwood. Ron is now Head Of Music at Soda Box, splitting his time between crafting impactful and character-driven custom music tracks, mentoring and expanding the Soda Box roster of artists and creators, and propelling SBM's unique catalogue offerings into the hands of music supervisors, filmmakers, video-game creators, and boutique advertising firms. 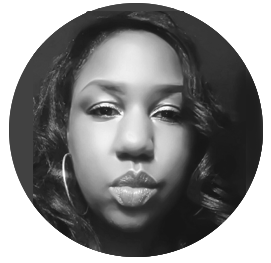 Daniela Crudup is the energetic, buoyant, and hardest working Head of Artist Relations (A&R) you're likely to find anywhere. At SODA BOX she is the go-to, the glue that binds our multi-part activities and colorful initiatives. At any moment you might see her diligently corralling new sounds, digging deep into our web matrix, positing thoughts and advice on artist mix-tapes and outreach, or framing client-lobbying and conference strategies with our CEO and Head of Music. The daughter of Musical icon Herbert Marshall Crudup, a renowned pianist, composer and vocalist, Daniela was taught at an early age how to merge old school sensibilities with new school ears. Pizzazz and sheer will continue to shape Daniela's visible desire to feel, smell, taste, and live her passions. And to explore. These aesthetic well-doings have led her down parallel paths of creative pursuit: running her own nouvelle-cuisine catering company, and building a successful career as a songwriter and performing artist. In 2008, with Canadian vocalist Addictiv, Daniela found success with her single Little Game breaking into the CHR Top-40 charts, securing two Canadian Radio Music Awards nominations in the Dance/Urban/Rhythmic class. Soon after followed collaborations with Miami-based rapper Pitbull and a feature on New York artist Papoose's single Everything. Her musical contributions continue to flourish, through associations with Ricky J, Carl Henry, Liquid (BV3), Distant Reckoning, Czar Records, and Double O Records. Along with songwriting/publishing commitments and her important work at SODA BOX MUSIC, Daniela finds herself drawn to stages far and wide, performing alongside Erykah Badu, Ja Rule, Tyrese, Usher, Ashanti, Master P and TLC. 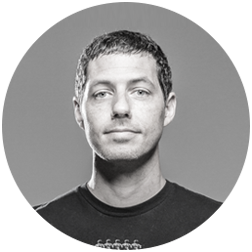 Jonathan Shipman is a visionary leader in the content creation space with a career spanning from being named the first Head of Integrated production at McCann NY, a global advertising network, to Managing Director of Framestore NY, the international multi Oscar winning VFX house. Shipman was responsible for transforming Framestore's NY office from a single discipline VFX company to a multi platform offering with core competencies to include VFX, design, nose to tail production, and the first VR/AR studios. Under Shipman’s watch these dramatic changes led to Framestore creating the first group VR experience for Lockheed Martin/McCann’s Field trip to Mars winning 4 production company of the year awards along with 19 Cannes Lions. 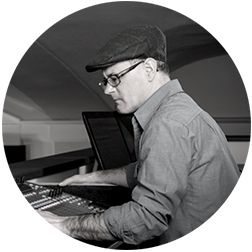 Mark Roos is an Emmy Award winning composer based in New York for film, television and advertising and successfully connects people in a powerful way through his compositions. He has composed for Jerry Seinfeld's Comedians in Cars Getting Coffee, American Pickers, Catfish, The Kardashians, Murder One, Microsoft and Pixar. 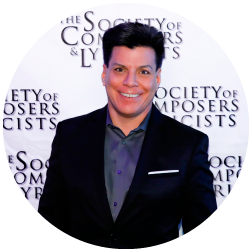 Mark Roos also serves on the Board of Directors for the Society of Composers and Lyricists. 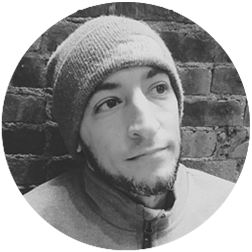 Adonis Tsilimparis is a born and raised New York City Composer and Music Supervisor. He began studying guitar and piano at age 11. 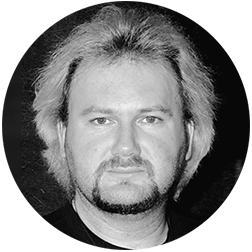 He played in several pop and rock bands before becoming a staff writer at commercial jingle house called Fearless Music, where he wrote and performed commercial ads such as Pepsi, Crayola, Burger King, Red Lobster and Verizon. He has also composed music for TV shows like ‘CSI:NY’, ‘NCIS’, ‘Keeping Up With The Kardashians’, ‘American Pickers’ and ‘20/20’. His recent film credits include ‘Naked As We Came’ and ‘Dementia 13’. 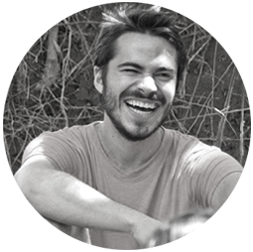 As a Music Supervisor, he has worked on various Film and TV Projects including the documentary, ‘Recover’, the short feature, ‘A Lost Man’ and the upcoming full length feature, ‘The Dark Rite’. Music is the thread that runs through everything that Charlene does! This sounds somewhat clichéyet it's true. Charlene probably started to sing soon after she began talking! She would do so with constant encouragement from her late grandmother and parents. She has early memories of playing the bass guitar whilst her dad played his rhythm guitar. Later, Charlene would transfer her musical knowledge by assisting with teaching in youth choirs and community music groups. She also had a deep passion for literature, often writing poetry and short stories, which was the perfect precursor to songwriting. An endless perusal of the credits on the album sleeves in her mum's record collection pointed to the beginning of Charlene's intrigue with Intellectual Property - wanting to know the roles of those credited whilst understanding the legal necessity of doing so. A keen and astute researcher, Charlene's prowess and deeply analytical approach to her studies and various projects, was recognised when selected to participate in a programme for exceptional students in Social Sciences at the London School of Economics. A joint honours degree in Law and Psychology followed, allowing Charlene to merge her passion for the Law and aptitude for Social Sciences. A talented songwriter of over 40 original works, and proficient vocalist, Charlene possesses the unique amalgam of an understanding of legal theory and practice, in addition to firsthand knowledge of the creative process that any songwriter must undergo. Colleagues respect her skill set while artists identify with her as a peer - knowing they can trust her as she not only represents them but is one of them! Her legal training has given her the capacity and deftness to combine the subtle art of protecting an artist's work whilst ensuring that the work is sufficiently promoted; the end goal always to enable unique creations to reach perceptive ears! 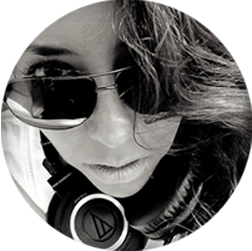 Charlene has an acute knowledge of music licensing and publishing across a range of platforms, as well as extensive experience of resolving music rights disputes and collection society negotiations. A highly adept manager with the capacity for negotiation and management of lucrative commercial deals, yet equally attentive to more custom, bespoke arrangements. She has always admired and championed an artist's ability to 'find their own voice'. Whether she is working as part of a Youth Community Music programme, recording her own vocals, providing backing vocals for other artists or working in a legal capacity, Charlene's work can be characterized by this ethos which encourages others to find their own voice. Accordingly, contracts must accurately represent and protect a client's wishes and interests, while an artist's work should always carry their signature sound. Charlene celebrates those who can humbly acknowledge and give a nod to their musical influences, without descending into futile vocal mimicry! Charlene shares the enthusiasm that echoes throughout the Soda Box team for artistic creativity and advocacy of an artist's rights. As it pertains to synchronisation, Charlene subscribes to the notion that the Artistry, Aesthetic and Audio must be perfectly aligned so that the audience can benefit from the richest possible experience and the artists' intentions can be appreciated. A film buff, Charlene will often be the last person in a cinema screen paying close attention to each credit! This mirrors the early passion that she showed with albums and completes the full circle between her love for both music and film! Fred started his career in the music industry as an intern for Tommy Boy Entertainment where he assisted the A&R department with their research on the 12 volume Hip Hop Compilation “Hip Hop Essentials.” He then became an assistant to the CEO, Tom Silverman, from whom he learned an extensive amount about the music industry. In 2009, Fred assisted Tom Silverman and Dave Lory with the relaunch of the New Music Seminar. From 2009 through 2013 Fred reached out to, and coordinated with, thousands of up-and-coming artists as the head of The New Music Seminar’s “Artist on the Verge” project. This, along with Fred’s passion for music, secured his spot on the Tommy Boy team as a full time A&R for the label from 2013 to 2016. Fred always prioritizes artists and their music. He founded Freddy Nyce Presents to curate, produce, and promote showcases that bring like-minded artists together while exposing them to new and broader audiences. He also works as a manager, consulting, developing, and connecting upcoming artists with other artists and industry professionals so they can effectively pursue their passion. Mog Fry creates works of art from the heart through music, visual arts and creative writing. She celebrates the joy of nature and strives to transcribe the gentleness and beauty of the world through her art and music. In her most recent project Red Deer Sleeping, Mog took part in a public art event called Sanctum, co-curated by Chicago based public artist and performer Theaster Gates and Situations Bristol. Using reclaimed materials to build a structure inside the ruins of Temple Church, they transformed the space into an intimate place of listening. For 24 days, 24 hours a day, selected Bristol based musicians were invited to perform in the space. Mog co-founded The Wraiths with multi-instrumentalist, Jon Hunt, who is also a member of Bristol based band Spiro. They began setting music to poetry by classic poets such as William Blake, Alfred Lord Tennyson, Emily Dickinson and John Keats in 2004. They have released two albums on Idyllic Records, ‘This is Charing Cross’ and ‘Welcome Stranger to this Place.’ They love to perform in interesting spaces which have included libraries, art galleries, museums, boats gardens and churches, plus music, poetry and literature festivals including the internationally renowned Glastonbury Festival. More recent projects include singing and playing trumpet for the band Snails. Snails are an experimental pop band from Bristol founded by Daniel Weltman. Snails have released two 7” vinyls and are currently recording an album to release later this year. Mog’s art work appears on many of her musical projects and it is this synergy of music and art that is vital as one fuels the other. 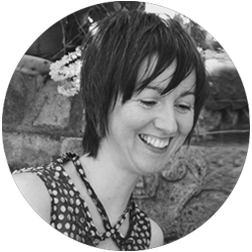 Her experience in the visual arts covers a wide spectrum from print making - letterpress, linocut and woodblock printing, web and graphic design, illustration and ﬁlm. Riccardo Onori is a Tuscan guitarist, songwriter, and producer extraordinaire. A classically trained guitarist (Scuola di Musica di Fiesole), he started playing when he was 14 years old. He developed an early passion for jazz, and has participated in workshops with some of the world's top jazz musicians. In 1994, his jazz group, "The Riccardo Onori Trio" won the EuroJazz Contest in Oristano, Sardegna. He has collaborated with a long list of Italy's top artists, most notably with the band Dirotto su Cuba and singer Irene Grandi, playing on their tours and various cds. He also participated in the “Orchesta del Titanic” project with Stefano Bollani. From 2001, he has been part of the team of Lorenzo Cherubini, aka Jovanotti, one of Italy's most renowned artists. He has been playing, touring, and co-writing with Jovanotti for the past 15 years, participating in numerous Italian, European, and International tours. In 2011, he performed with Jovanotti at the Bonnaroo Music Festival in Tennessee, where they were the first Italian artists to perform on that stage, and in 2013 he took part in Jovanotti's “Backup” tour held in stadiums throughout Italy. In 2014, they took that same tour to the “Rock in Rio” and “Lollapalooza” festivals in Chile and Argentina. In 2010, he co-wrote the song “Baciami Ancora” for director Gabriele Muccino's film by the same name, which won the David di Donatello award for best original soundtrack. In 2016, he participated in another award winning soundtrack, this time for Muccino’s latest film, released in September, 2016, entitled “L’estate addosso”, which won the award for best soundtrack at the “Festival del Cinema di Venezia". Riccardo is a very active and prolific member of Italy's current music scene, and we're honored to have him as part of our International A&R team. 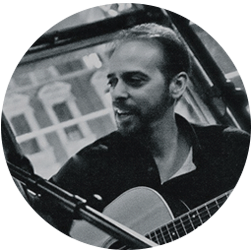 Lee Barbour is a musician, producer, and award winning film composer from Charleston, SC. As a guitarist, he has performed and recorded with numerous internationally renowned artists, including guitar legend Joe Beck, who called him "one of the best young jazz guitarists in the country", Fred Wesley (James Brown), Earl Klugh, Jeff Sipe, Kebbi Williams (Tedeschi Trucks Band), Elise Testone (American Idol), and Cary Ann Hearst (Shovels and Rope). As a composer, he has written music for trailers, documentaries, animation, commercials, and feature films. Lee has taught guitar at The New York City Guitar School and The College of Charleston, and continues to teach privately. He performs regularly and runs his own production company, Avant Garage, producing original music for all visual media. 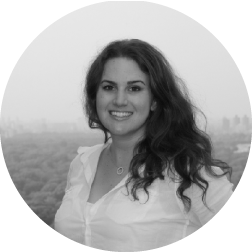 Like most young professionals in the field, Emily brings a wide array of energy and experience to Soda Box. Graduating from Northeastern University in 2015 with a Bachelor's degree in Music Industry, she has worked in many areas of the music business, from venue marketing, to live sound/stage management, to studio recording and mixing. Emily discovered her love for music licensing and publishing through an internship with AirCraft Music Library in her third year at Northeastern. During her six month internship, she became well versed in PRO song registration, data management, artist relations, and music placement. 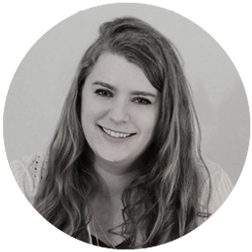 Along with working at Soda Box, Emily is also a part time assistant to a well known entertainment lawyer in NYC, and a waitress at Knuckleheads, a local craft beer bar/restaurant in her hometown, Wallingford, CT.
Piero, as we affectionately call him at SODA BOX, is our creative director of Web Development, Graphic Design, and Online Assets. 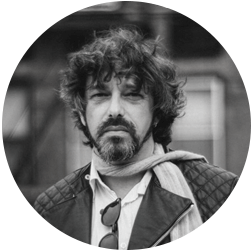 He brings a dozen years of cross-platform expertise to our e-storefront and outreach initiatives, using his experience in the gastronomy, construction, fashion, music and art-direction fields. Most recently, with Studio Dance Montreal-Paris, The Montreal Funk Festival, and Feralucia. "I’m constantly motivated by ideas, by transcendent content. I'm a great admirer of human talent, of the collective ethic and the amazing results that can be achieved when empathy is a catalyst for professional relations. I love how, in the Arts, we need many different ways to communicate, and how cultural diversity advances meaningfully this social development." Jennifer Newman Sharpe is a New York-based transactional entertainment attorney, whose clients include music distribution companies, record labels, publishing companies, artists, songwriters, tech start-ups, managers, and others. Jennifer advises entrepreneurial and creative businesses and individuals, serving as legal counsel, general strategist, business development resource, and skilled negotiator. Jennifer is also Vice President and a board member of the non-profit national organization Women in Music. With a background in music performance, songwriting, and production, Jennifer has a deep love and appreciation for the arts. Jennifer received her Juris Doctor from Benjamin N. Cardozo School of Law with a concentration in intellectual property law and an undergraduate degree in Recorded Music from The Clive Davis Institute of Recorded Music at New York University’s Tisch School of the Arts. He's a poet, a marvel, a genie in a bottle… He's Sir An-Toné Alchemy, and he's the bandmember you haven't met yet. At SODA BOX MUSIC, Sir An-Toné is the purveyor of all things sonic. That extra set of ears, that sweet new perspective, the heart that pumps lifeblood into your studio mixes. 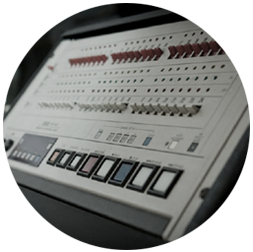 He is analogue circuits, digital relays, spinning recorders and savvy devices. A turn-of-the-knob and Sir An-Toné reveals the true depths of his power: helping you build the perfect audio signature for your project. Creative minds feed off creative environments. 1's and 0's to the right, acoustic guitar and electric piano to the left, pure vocal tones straight down the middle. Sir An-Toné helms the controls at state-of-the-art studios in Paris, Victoria, Barcelona, Montreal, Tel Aviv, Auckland, and New York. He is joined by a highly experienced team of musical philosophers. Collaborative, compassionate, thoughtful souls there to help you strike the perfect note. Your new bandmember Sir An-Toné Alchemy knows what you like, he's been listening. Shall we push some creative buttons, and capture your story for all to hear?